Butterflies made in the Art Tent at the Summer Fair. This is the playpark railings. With all the unsightly fencing and metalwork removed, the compound looks much better. 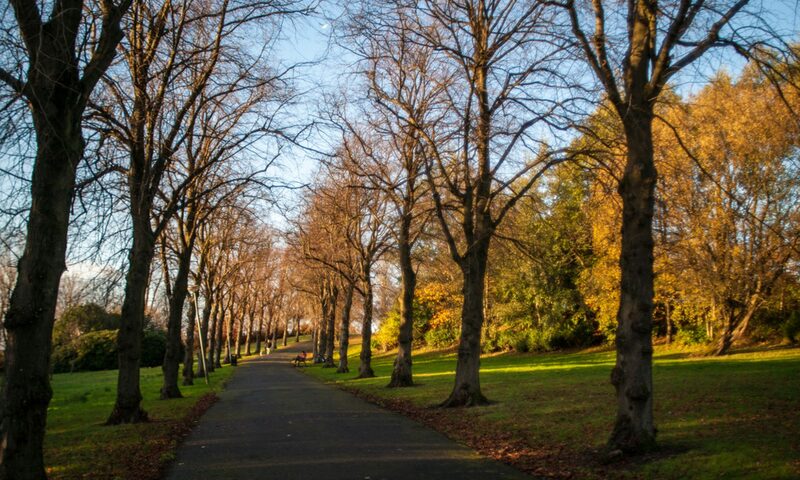 New birch trees planted near the Maryhill Road entrance to the park. Preparations under way for the new seating along the Maryhill Road entrance. Sunshine in the Park, Snow on the Campsies… A Beautiful Day! ooh, ooh, oooh….exciting!!! We now have the plans for the new playparks!